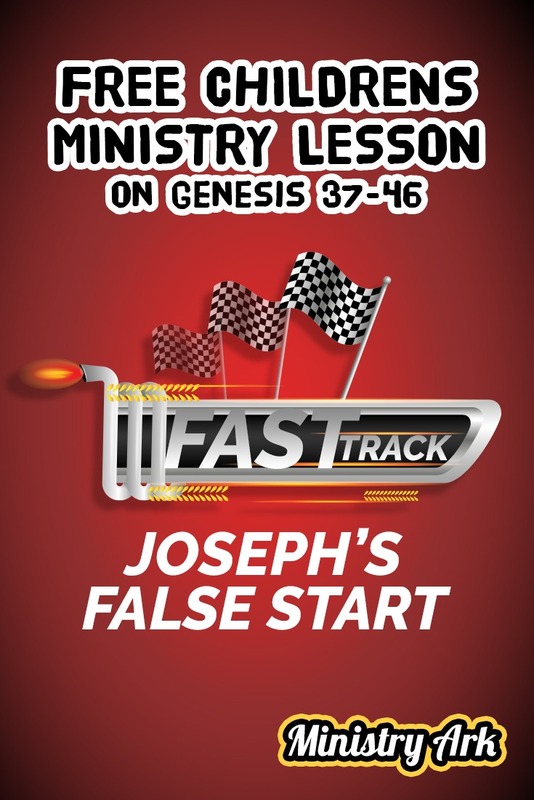 AIM: The aim of the ‘Josephs False Start’ Childrens Lesson on Genesis 37-46 is to help children realize that God is faithful, no matter how our lives have started out or what has taken place in our past. INTRO QUESTION: What is a false start? You could show some of the clips from Youtube that show a funny false start. 1. LARGE GROUP & SPACE GAME: Zoom Relay Race. Using two child sized toy cars, children should get inside the cars and race around an obstacle course (cones or chairs) to see who the winner is. You could even make this into a relay race. 2. Joseph’s Coat. Have children compete to dress their team mate in a coat for Joseph, using different scraps of material or cut up colored plastic table cloths. 3. SMALL GROUP: Pin the Coat on Joseph. Draw your own large picture of Joseph on a large board. Make a cardboard coat for him that looks a similar size. Attach sticky tape to the back of the coat. Blindfold your kids and have them take turns to try to stick the coat on Joseph in the right place. 4. Robe Run Relay. Have children run to a spot, put on a coat and take it off again and then run back to tag the next teammate to do the same. Alternatively give children strips of colored card that they must run and put on a giant drawn Joseph’s coat. The team that completes the task the best and the fastest is the winning team. Read Genesis 37-46. Choose some key passages within the story that you think will stand out to the children as you retell the story. 1. How old is Joseph? 2. How many brothers did Joseph have? 3. How did Joseph get in a well? 4. Who was Joseph sold to? 5. How did Joseph end up in prison? 6. What special gift did Joseph have? 7. How did Joseph become second in command to the Pharoah? INTRO: (for those using the ongoing series format) In our last session, we looked at how Zacchaeus had a brand new start in his race of life. Jesus gave him a brand new start because he had a change of heart. 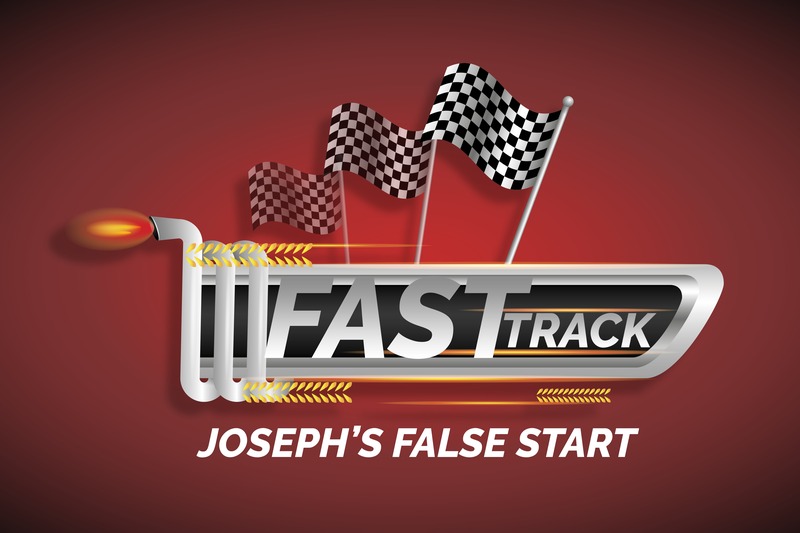 This week we’re thinking about Joseph and his false start… how do you think he had a false start? Encourage the children do a race themselves or race racing car toys from one end of a track to another and see if it is easy to keep the start time fair for everyone. Use a baking tray or a piece of card and some books to prop it up to make a ramp for the start line of your race. Say: We might think that Joseph had a great start in his life. However, a false start means that you start the race and things look good… until you realize you started wrong and must go back to the beginnning. You have to start all over again! Joseph started out in life as the favorite son of Jacob… but then, that also made his brothers jealous. Some people also think Joseph was bragging about his dreams when he told his brothers – if he was, then that wasn’t a very kind thing to do. Joseph’s false start came when his brothers threw him into the well and sold him into slavery. What a scary time for Joseph! He must have thought he would never escape. To make it worse, he was thrown into prison when it wasn’t even his fault! Potiphar’s wife lied and got Joseph thrown into prison! God was faithful to Joseph. What does that mean? It means he stuck with Joseph. He stayed Joseph’s friend and helped Joseph. He was with Joseph in the well, Potiphar’s house and in prison. God gave Joseph special dreams and helped him to understand Pharoah’s dreams. So, we can know that whatever has happened to us, God is faithful in the false start. Whether we have had a family that loves us, or if we don’t have a family at all. God knows what we need and He is faithful in our false start. He will help us through anything we face and will help us to overcome all the things that have gone wrong in our past. Watch the American football video where a player celebrates over the false start. Alternatively, use a sign of a U-Turn to hold up as you talk or tell your own story of how God turned your life around. Say: God is able to do anything – even those things that are impossible for us! God is greater than anyone in the Universe and He can change our lives in one second. Yet He doesn’t always do things that fast because He wants us to learn something… perhaps to trust Him or to listen to what He is saying. Joseph learned that God was faithful in the false start because although things were going terribly for Joseph, God made everything right in the end. He made it all come together for Joseph’s good in the end. All those things that Joseph had been through would one day help him to be a great leader – someone that listens to and understands others; a person that is happy to help others. So God was able to turn things around for Joseph. Just like when you see this sign in the road (show the U-Turn sign) God will help us to turn around when we need to. If we have been doing wrong, He can help us put it right again. If someone has been doing wrong to us, He can help us and make things turn around. We can tell other people and ask for prayer too – God is always listening and He wants to help us. What do you want to see change in your life? Is there something that you can be doing while you are waiting for it to change? Joseph listened to the other prisoners and helped them while he was waiting in prison himself. Then God used the good that he did later in his life when the cupbearer remembered him. Remember, God can turn your false start around – he is faithful in the false start. Yet while you are waiting don’t be afraid to do some good in the world – God is watching and He will help you to do it! Lay down pictures or cones with names of the bible characters onto the floor. Using two remote controlled race cars choose two children to race their cars to each of the names. Once they reach the names the first player to reach the spot must say how that person in the bible had a false start in life. That point will then go to the player. If they fail to answer correctly then the second player may answer the question. Ruth: We meet Ruth in the bible just as her husband has died and she must now start again. Mephibosheth: Mephibosheth was dropped as a child, leaving him less physically abled than many others. Yet God looked after Mephibosheth when David became king. David: David starts out life as a little shepherd boy – the least important in his family. Yet God uses his false start to make him into somebody that could be used for God. Gideon: When we first meet Gideon he seems to think he can do anything good – he is the weakest in his family and in Israel. Yet God shows Gideon that He can do great things in and through him! Job: Although Job had a good start in one sense; he had lots of children and everything he wanted… everything was suddenly taken away from him. That meant he needed to make a new start, which felt like a bit of a false start. 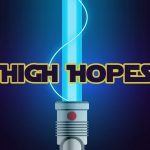 Esther: Esther was an orphan and a Jew – and a girl! Three things that gave her a more difficult start in life during the time that she was alive. Yet God helped her to become Queen and save her people! Daniel: Daniel was taken to serve the king of Babylon – Nebuchadnezzar. He did not choose this decision, it was made for him. Yet God helps him to succeed as he makes the most of where he has been placed. Shadrach, Meshach and Abednego: They were also taken to serve under King Nebuchadnezzar. Thrown into a fiery furnace, yet God rescued them out of their false start. How does it feel to know God can help you start again? 1. Children could create their own race car using old kitchen rolls, bottle tops, straws or mini craft sticks. 2. Create race cars out of popsicle (lollipop) sticks and card (cut the card into circles for wheels etc) and markers. 3. Create a coat for Joseph picture out of tissue paper. 5. Create tie dye tops as the children think about how the brothers dipped Joseph’s coat in blood. 6. Leave some clothes to go damp and then put them in a trash can. Leave them in the trash can. Encourage children to lift the trash can lid to think about how damp and smelly the well and prison must have been for Joseph. 1. How would you feel to be betrayed by your family? 2. How would you feel to be thrown in a well? 3. How would you feel to work for someone you hadn’t chosen? 4. How would you feel to be thrown into prison for something you hadn’t done? 5. Do you think through all this you would trust that God loves you and was with you? 1. Give each child a toy racing car. Give each child a tag that they can tape to the car. Ask them to write on the card something that they want God to turn around in their life. 2. Help children to pray for others around the world that have had a false start in life. Perhaps children that are poor or are in hospital and in need. You could use a globe to pass around or to put their hands on as they pray. Or use a map and create small racing car pictures to place on the country on the map as children pray. 1. Encourage the children to think about children around the world that they can pray for. Hand out the race car printables for them to write a person/people group that they can pray for. 2. Alternatively ask the children to write something that they need turning around in their own lives.